Fans across the world can barely contain their excitement when two of their favourite stars start dating or get hitched! They promote their favourite couples' love stories on social media and even make up quirky portmanteaus by combining their names. The latest couple to join the league are Ranbir Kapoor and Alia Bhatt, called ‘Ralia’ by fans, and Priyanka Chopra and Nick Jonas or ‘JoCho’. The trend started with former power couple Angelina Jolie and Brad Pitt, who were famously nicknamed ‘Brangelina’. While this trend was previously restricted only to celebrities, ordinary people have now been adopting it. Gurugram-based Bhawna Gupta and Anshu Singhal combined their names to make ‘#Bhawansh’ when they got married in 2015. The reason? 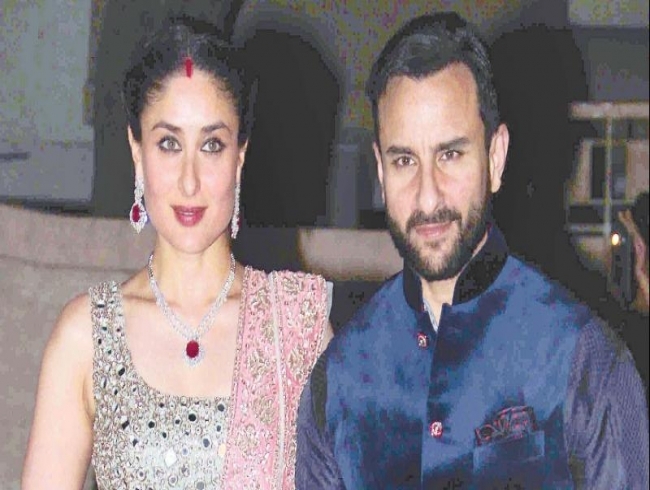 They found Saif Ali Khan and Kareena Kapoor’s portmanteau ‘Saifeena’ striking. “My sister suggested our combined name, and we loved it. We posted our wedding pictures and tagged each other with the hashtag. In fact, we were known as Bhawansh in our circle of friends and at our workplaces too. It connects us and we enjoy it," gushes Bhawna. Similarly, Lucknow-based couple Nitya Prakash and Lipi Joshi have merged their names to form #Nityalipi. However, the couple clarifies that they weren’t blindly following a trend. “This isn’t a result of any trend, but to be in one in identity. We use our new name in all our posts. One day, we randomly put a picture on Instagram and it became a hit in our circles,” says Nitya. Apparently, the couple is now also penning a romantic mystery novel under their portmanteau. While changing a woman’s surname after marriage can be a lengthy legal process, merging names, on the other hand, is a more enjoyable one. Besides, it also helps secure one’s memories on a single platform. Tusharika Singh and Abhimanyu Saxena, newlyweds from Jaipur, merged into #Tushmanyu to make all their wedding moments available to friends and relatives at one place. “I didn’t imitate any celebrity but used social media smartly while using an innovative hashtag,” says Tusharika.